Many times at anand karaj ceremonies we see men, primarily granthis, officiating the union. Women’s involvement is rare and many people have never personally witnessed it. At Kaur Life, we wanted to showcase the families and couples who have asked the women in their lives to be a part of their anand karaj ceremony. It is a unique way of honoring the women in a couple’s life and celebrating close relationships. Furthermore, involving women in the anand karaj ceremony publicly showcases the equality between men and women inherent within Sikhi. To those who shared the following photos, thank you for giving us a peak into your anand karaj. We recognize that weddings are intimate, sacred moments and we all feel blessed to be able to see a step on your Sikhi journey. The anand karaj of Gurbans Kaur & Harpreet Singh in Toronto, Canada in 2008. L to R: Inni Kaur (friend of the couple) delivers the sikhya. Tanveer Kaur (sister of the bride) reads the hukum. Jasmine Kaur (friend of the couple) recites ardaas. “We really wanted to include people who were influential in our lives and people who were important to us in general. We felt like it made the ceremony more meaningful to us. We also wanted to have diverse perspectives when it came to the messaging during the wedding. 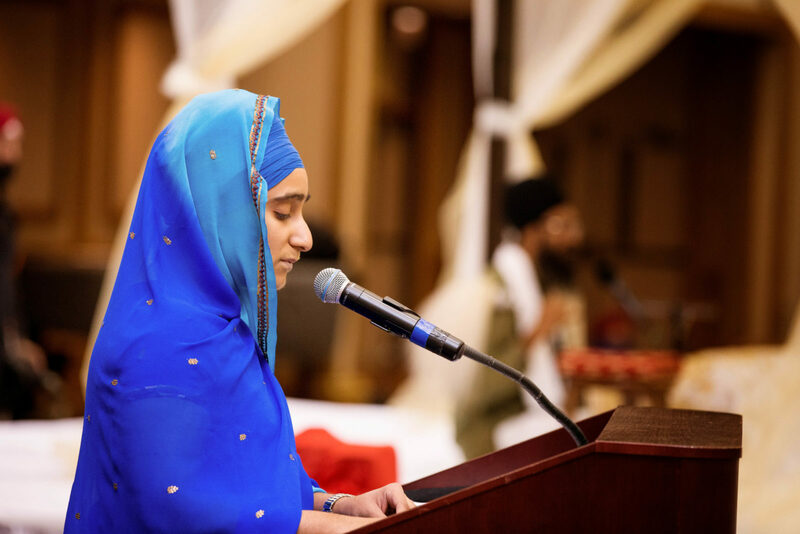 I think it’s important to have women involved because a wedding is the start of a new life and a new journey, and women play a key role in supporting and influencing that journey,” Gurbans Kaur (bride). The anand karaj of Sunaina Kaur & Ravi Singh Gogia in Alabama, USA in 2014. Photo by Ajit Singh of Ajit Singh Photography. The anand karaj of Min Kaur and Kal Singh in Birmingham, UK in 2016. Photos by J. Dhillon. Jagdeep Kaur and of Qi Rattan (a friend of the couple) did kirtan, the lavan, and anand sahib with her husband, Amritpal Singh, on tabla. “Kirtan and simran have always strengthened our connection with Guru Sahib Ji. 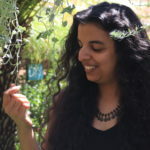 Jagdeep Kaur, of Qi Rattan, sparks that connection through her kirtan. We wanted to share that feeling with the sangat at our anand karaj, which is why we asked Qi Rattan to sing kirtan on our special day. We wanted the sangat to participate in the simran and listen to the kirtan so it would spark their own connection. Only through Guru’s kirpa, our anand karaj was a beautiful occasion full of love and gratitude to Vaheguru Ji themselves, with kirtan that touched the souls of all that attended,” Kal Singh (groom). The anand karaj of Manbeena Kaur Anand and Gurinder Singh Sidhu in Texas, USA, in 2014. 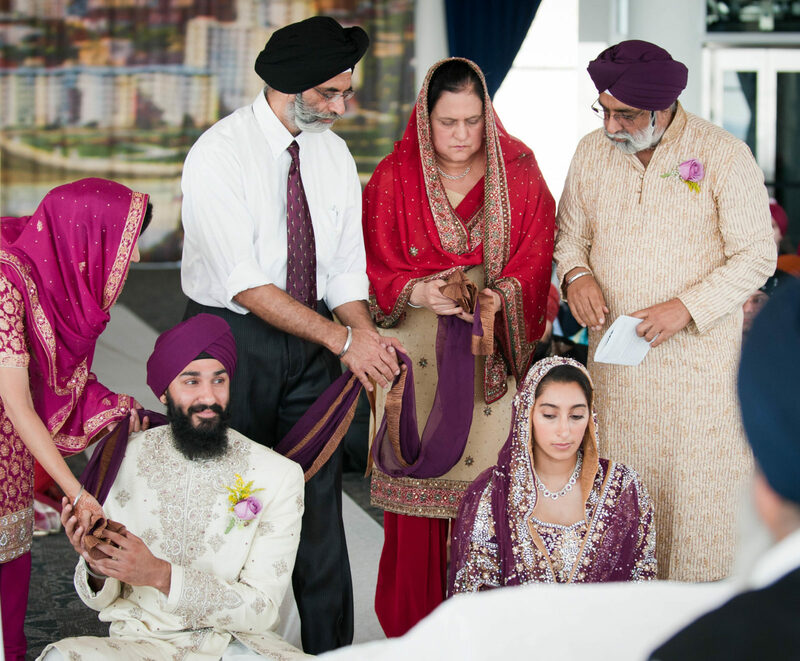 Bottom L to R: Sonia Kaur (friend of the bride) reads the lavan. Manjeet Kaur (friend of the bride) sings the lavan accompanied by Davinder Kaur Gandhi, the bride’s masi. “I knew I wanted these two aunties in particular to read my lavan years before I even met my husband. There’s nothing wrong with going the typical route and having a bhai sahib perform the lavan. In our case, my local bhai sahib didn’t actually know me or my husband particularly well. The idea that someone was performing such an important shabad during the anand karaj, who didn’t really know us, just didn’t sit well with me. It was really important to me that these aunties, who have been a part of my close sangat for more than a decade, play a special role in my lavan. I sought them out particularly because they are both excellent kirtanis but also because our families are extremely close. When I look back on these pictures from our Anand Karaj, it makes me smile that Manjeet and Sonia Aunty played such an active role in joining my husband and I together in the presence of the Guru,” Manbeena Kaur (bride). Anand Karaj of Hernoor Kaur Grewal & Navjit Singh Surhdar in London, UK, in 2016. Photos by Gurvir Johal Photography. Top: Hernoor Kaur’s mother, Jasbir Kaur, performs the palla ceremony. 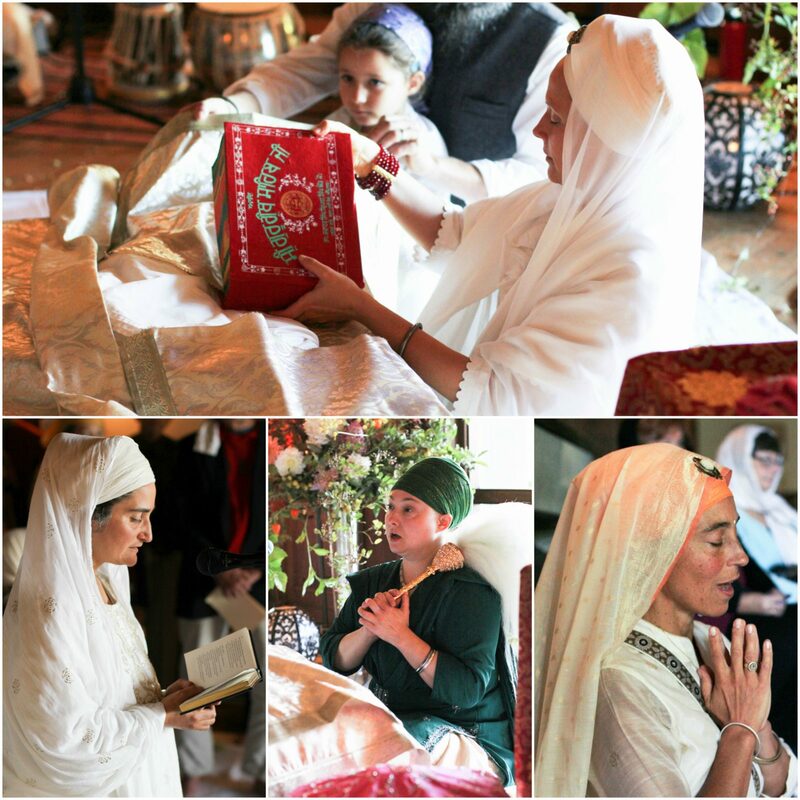 Bottom L to R: Hernoor Kaur enters Guru’s Darbar with her mother, Jasbir Kaur Grewal, on her right and her twin sister, Sukhman Kaur Grewal, on her left. Jasbir Kaur Grewal embraces the couple after the palla ceremony. “We knew that our mum handing over the palla, would be a big deal in our community, but we never thought something so personal to our family would gain so much attention like this with a global reach. Our mum was simply fulfilling her duty as a mother. It’s worth noting that this was not the first time our mum partook in the palla ceremony; she had already done the palla a few years earlier for our elder sister’s wedding in July 2012. So in a way, this was nothing new for our family but rather the norm. The positive response to the post makes us feel proud about our decisions to place women at the forefront of the wedding ceremony and to have them perform the roles, which men traditionally have performed in the past. It has made us glad to see so many people showing their support in the decision we made, and I feel happy to know others feel empowered by the post. In our culture, (and many others) this part of the ceremony is mostly carried out by the father or another male member of the family e.g. grandfather, uncle, brother. In some cases, it’s frowned upon for a woman to step into what is supposedly seen as man’s role. Therefore, we knew how much of a big deal this was going to be in our community. But most importantly, our mum felt that she was helping to open the door for other women to do the same. 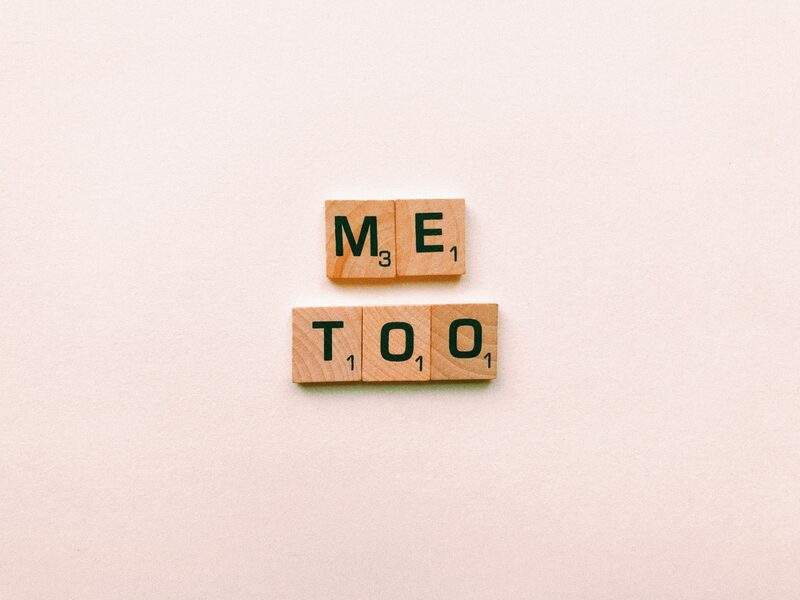 Our mum used to always think that someone has to take the first step in changing our community’s mindset on the roles women play, and she thought that if she can start by doing this one thing, then lots more women may be encouraged as well. Guru Nanak Sahib writes in Guru Granth Sahib Ji, ‘Why call her inferior? 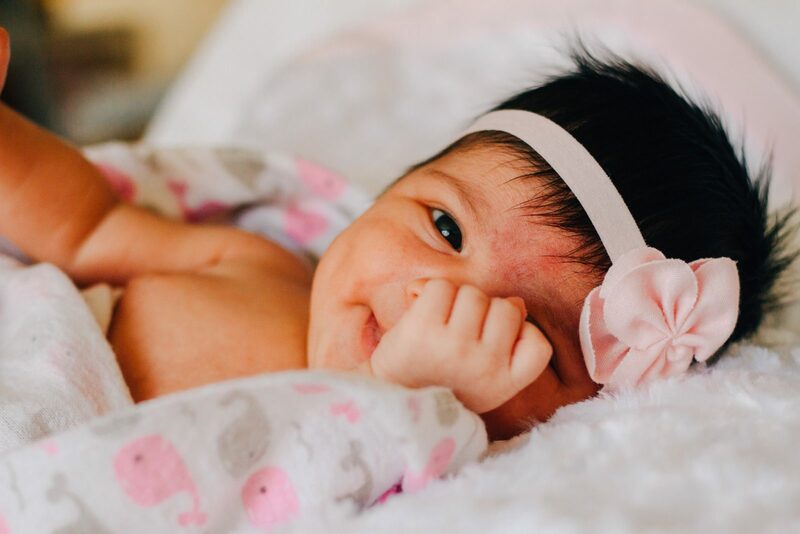 From Her, royalty is born.’ But in everyday life, even those who claim to be ‘religious’ forget the above and allow cultural practices to override spiritual sentiments,” Hernoor Kaur Grewal (bride). Anand Karaj of Gunisha Kaur & Simran Jeet Singh in Buffalo, New York, in 2008. The anand karaj of Sanj Kaur and Tejinder Singh in Ontario, Cananda. Photographs by Johanne. L to R: Sanj Kaur (the bride) enter Guru’s Darbar accompanied by her sisters Rapinder Kaur on her right and Amrita Kaur. Rapinder Kaur (bride’s sister) gives a wedding speech. 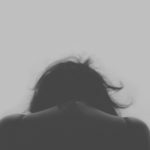 “My two sisters and I grew up in England experiencing on a regular basis looks of pity from aunties when they would find out that we did not have a brother. 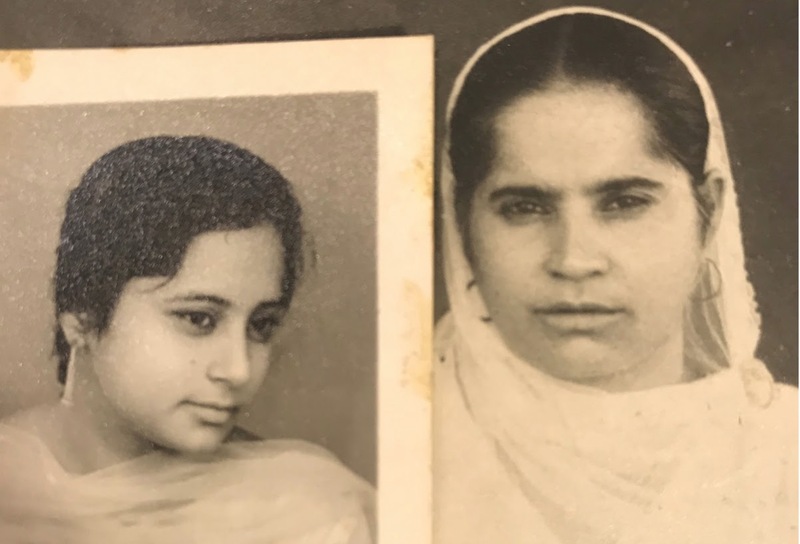 Despite living in this environment where it was no hidden secret that girls were treated far less favourably than their male counterparts, my parents raised all three of us to think for ourselves and empowered us to embrace our sovereign identity as Sikh girls. They supported us in every decision we made including when one of us decided to leave an abusive marriage. This freedom to choose and confidence they placed in us allowed us to embrace the true essence of who we are. Had my parents not disrupted traditional ways of thinking, I don’t believe that my sister’s anand karaj would have taken place in this manner, with women walking her in, women singing the Guru’s Bani, a woman taking her photos, and a woman speaking on stage. Our Guru’s gift of empowerment and legacy of disruption created this beautiful moment for our family,” Rapinder Kaur (bride’s sister). The anand karaj of Sangeetha Kaur and Thaswinder Singh, in Malaysia, in 2016. Photos by Ravinder Singh of Ravs Studio. 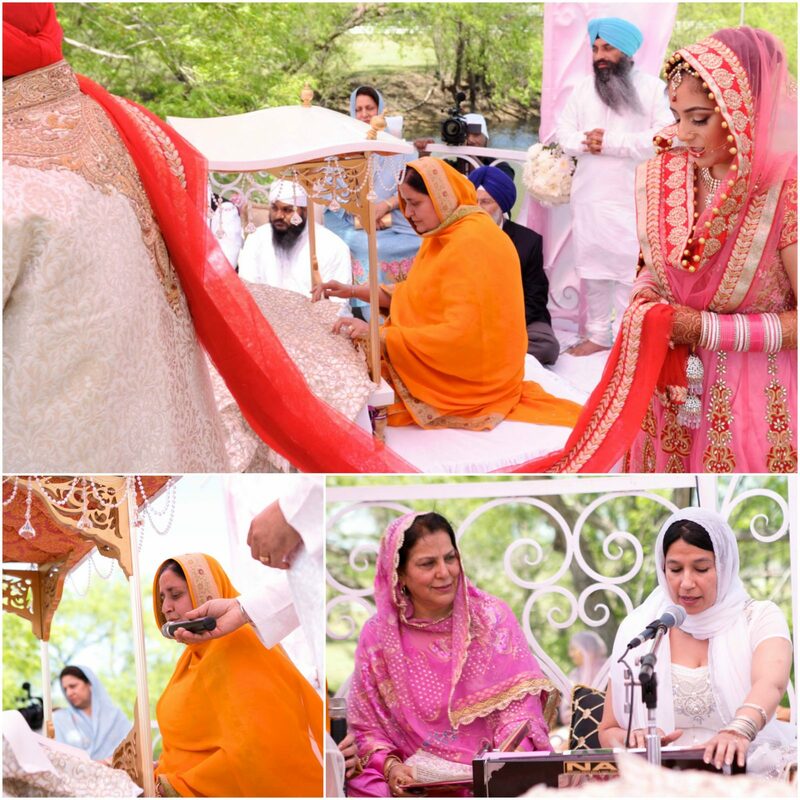 In these photos, the mother of the Bride, Ajeet Kaur, conducts the palla ceremony. “I wanted no-one else but my mum to perform the palla ceremony. We went through quite a bit with my aunts and uncles as I had to convince them of my reasons: My dad left when I was 10 and it was my mum who single handedly brought up my sister and I. She worked long hours, nursed us when we were sick, attended all parent-teacher meetings alone, juggled her social life and ours, and also made sure we all made time to give back to our community together through our Malaysian Sikh Youth Organization. My mum stood by us through thick and thin, and I wanted no-one else to give me away to the man of my dreams but her! Sikhi speaks so much about equality, I didn’t see a reason why she was not allowed to perform a ceremony so sacred and something that means so much to both my mum and I. My dad is a Hindu, and he does not understand the significance of the palla ceremony and would have done in in a way of like ‘let’s just get this over and done with’ and I did not want that. I wanted it to be a moment we all remember for years to come. After weeks of convincing the family, it happened! We sure hope more women start standing up for their rights and also play such roles in their children’s weddings. Let’s always remember that there is no force more powerful than the force of a woman determined to rise,” Sangeetha Kaur (the bride). The Anand Karaj of Puranjot Kaur Khalsa and Mahan Deva Singh Khalsa in Bar Harbor, Maine, USA in 2015. Top: Snatam Kaur Khalsa (friend of the couple) read the lavan, hukham and sang kirtan. Bottom L to R: Harpal Kaur recites ardas, Ramdeep Kaur Khalsa does chaur seva, and Saibhung Kaur Khalsa read the English translation of the Lavan. Not pictured: Siri Prakash Kaur reciting ardas and Kate Macko reading one of the English hukum translations. “When we started planning our wedding, we reached out to our dear friend Snatam Kaur and asked if she would be willing to conduct the ceremony. Snatam’s devotion to Waheguru and Guru has been such a tremendous inspiration to my life. By Guru’s grace, she agreed immediately. 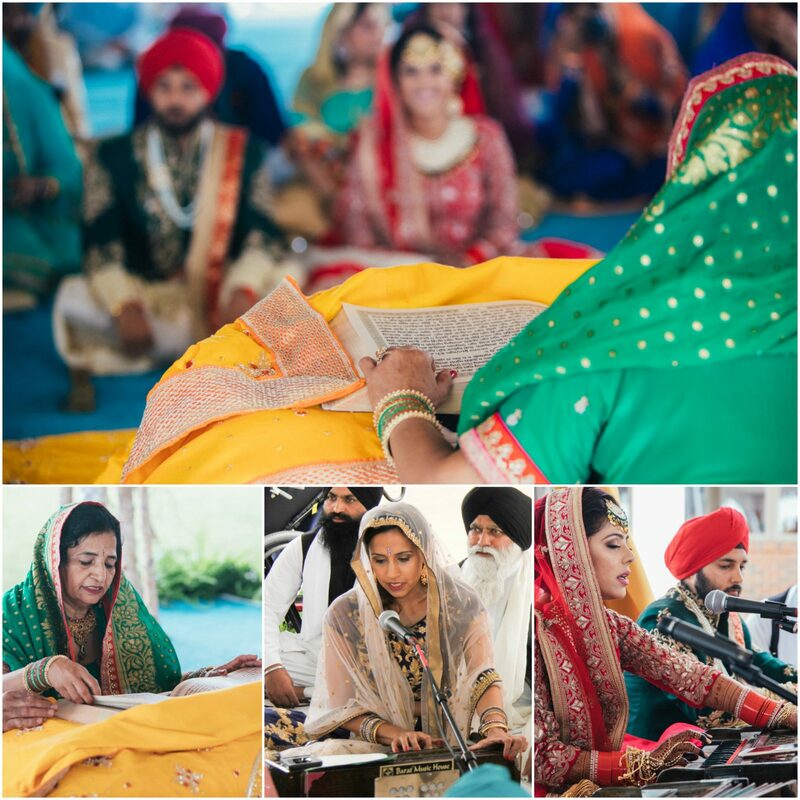 All of the other women came together so organically, but – looking back on it now and the large number of women we had participating – I feel so thankful to have had that amazing Mother energy holding the space for our blessed day,” Puranjot Kaur Khalsa (bride). The Anand Karaj of Khushwinder Kaur Dhaliwal & Avtar Singh Grewal in Michigan, USA in 2017. 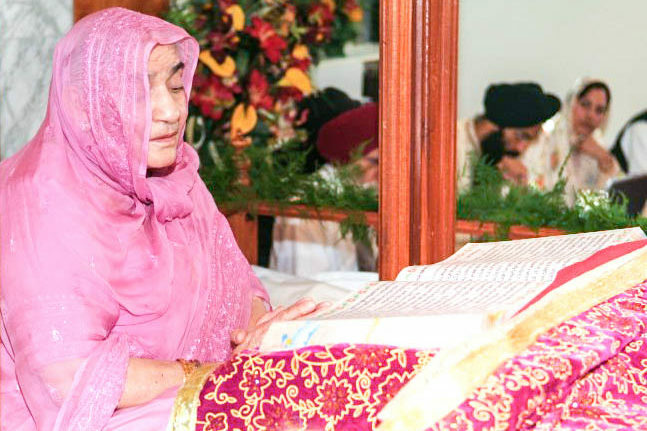 Top: Jagdev Kaur Grewal, mother of the groom reads the lavan. 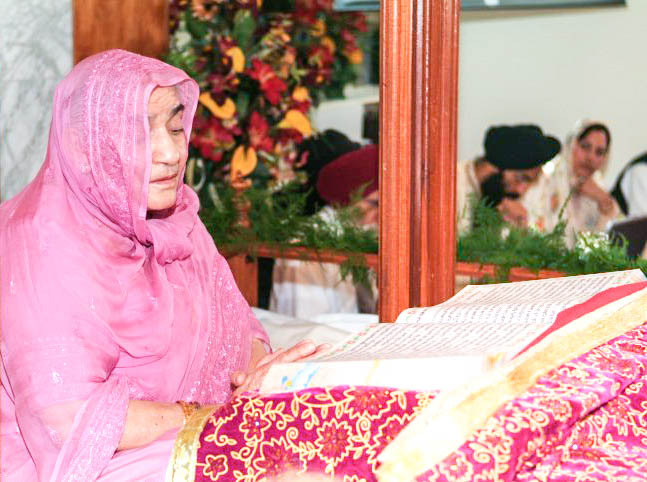 Botton L to R: Jagdev Kaur Grewal, mother of the groom reads the lavan. Mony Kaur Malhotra, sister of the groom, sings the lavan. The newlywed couple sings kirtan. 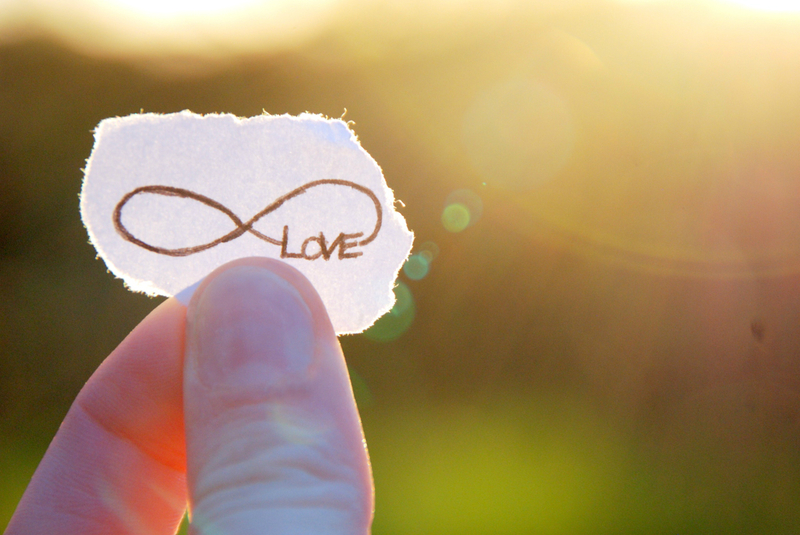 Photos by Everlasting Moments. “Our intention was to make our wedding ceremony very family oriented. We wanted to make it memorable, meaningful and emotionally connected to us. 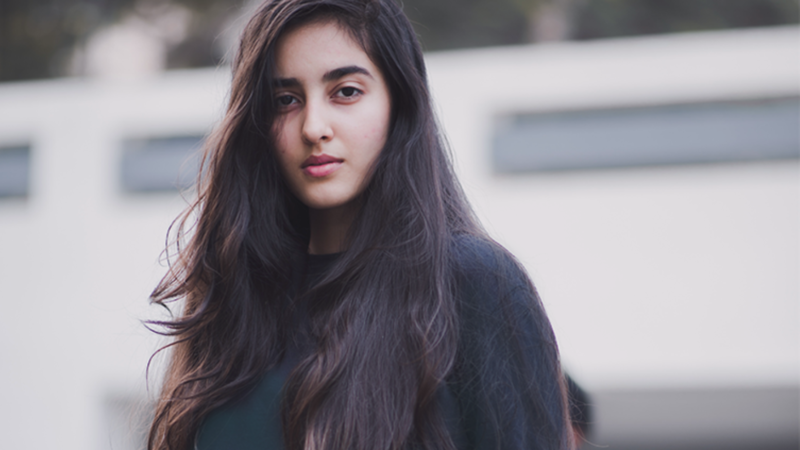 Having women do everything was not an intention- we just made sure all our family members are doing something and we ended up doing this,” Khushwinder Kaur Dhaliwal (the bride). The anand karaj of Simrat Kaur & Sumeet Singh in Oslo, Norway in 2017. Photo by Michael Ray Vera Cruz Angeles. “Jagdeep Kaur and her husband Amritpal Singh (of Qi Rattan) have been our friends for the past few years. 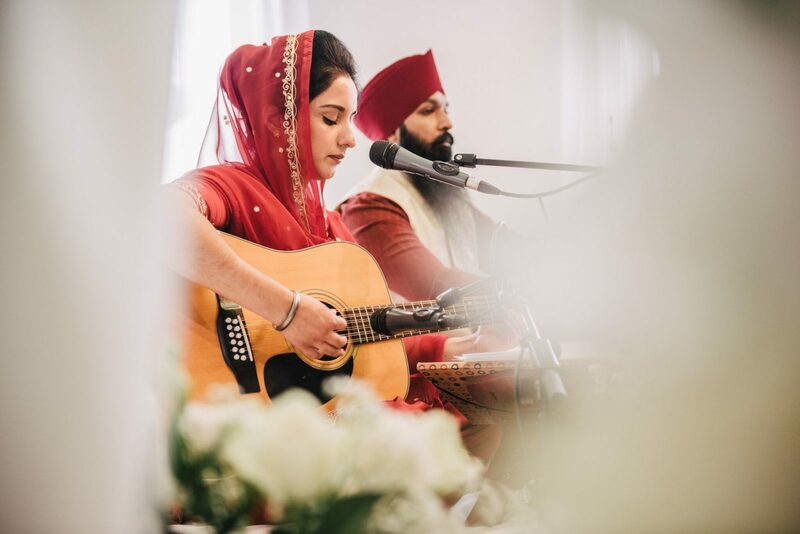 Jagdeep Kaur’s mellifluous voice (and Amritpal Singh’s flawless tabla playing skills) have been a part of my everyday life ever since I met my husband almost three years ago, as he was the one who introduced me to their rendition of kirtan. Having anyone else sing the lavan at our anand karaj was not even a question. 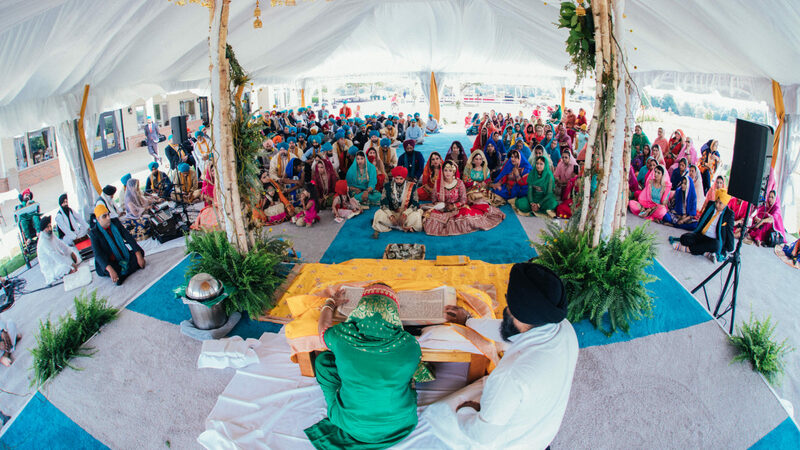 Not only did Jagdeep Kaur and Amritpal Singh’s kirtan bring Sumeet and I closer, but it also brought us closer to Waheguru – and it did so even more at the wedding ceremony itself. It was absolutely magical. Even our non-Sikh friends who did not know a lot about Sikhi, and did not understand much, were so spellbound by Jagdeep Kaur’s sweet voice, that they went home and did research and asked us questions about Sikhi; I think a large part of the interest was based on the magical, as well as balanced, atmosphere that Jagdeep Kaur and her husband, Amritpal Singh, managed to create. Furthermore, seeing Jagdeep Kaur being treated as an equal in the religious arena probably also played a role in the interest shown – many were (positively) surprised to learn that Sikhi teaches complete equality in all arenas of life, including religion,” Simrat Kaur (bride). The anand karaj of Lakhpreet Kaur & Darsh Preet Singh in Wisconsin, USA, in 2011. 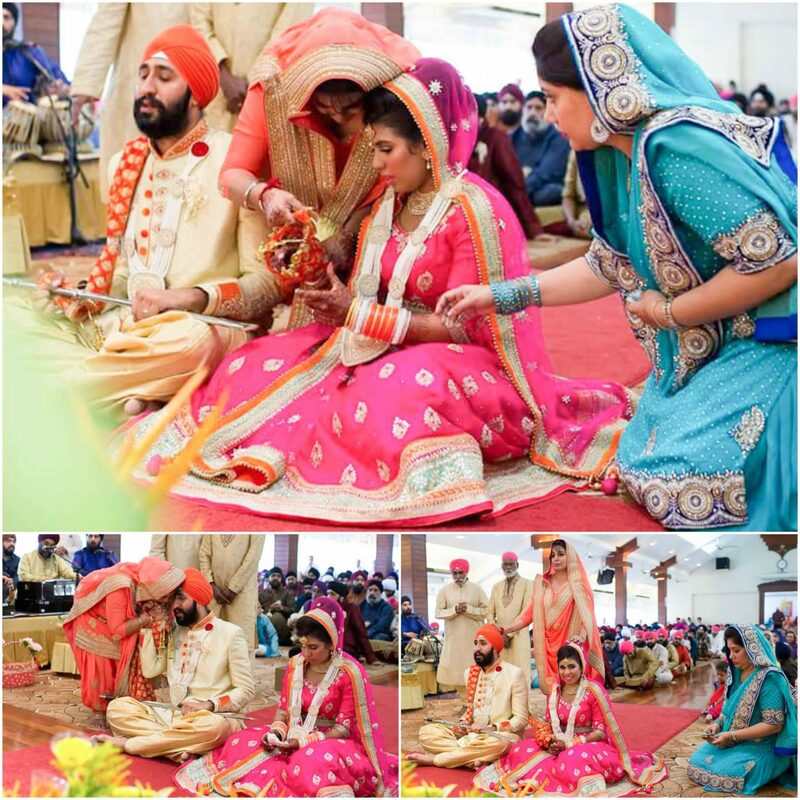 Top: Sukhjinder Kaur and Mohan Singh (bride’s parents) hand the palla to the groom, and Parvinder Kaur and Gurvinder Singh (the groom’s parents) hand the palla to the bride. 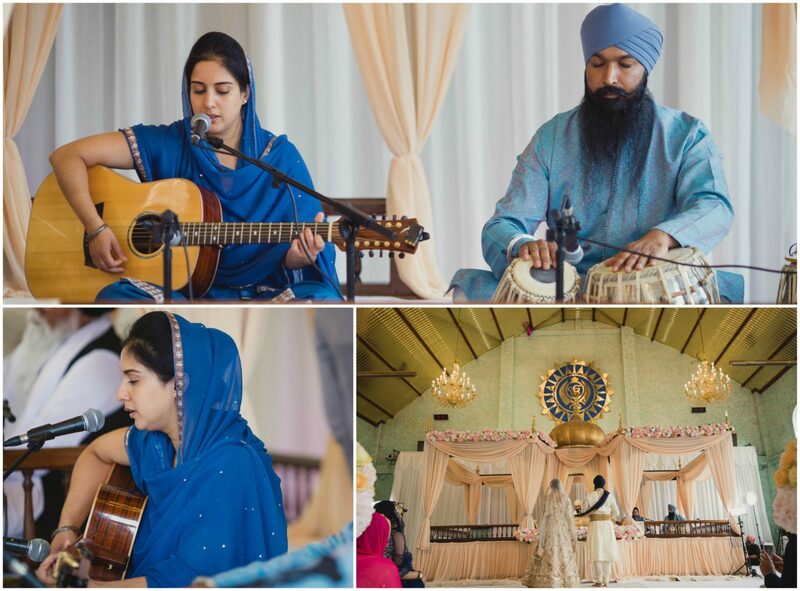 Bottom L to R: Sirjaut Kaur (bride’s sister) sings kirtan on taus. Sartaj “Ruble” Kaur Dhillon (friend of the bride) reads ardas. Shindo Kaur (bride’s massi) starts parshad seva. The bride & groom sing kirtan together. Not pictured: Tarminder Kaur and Harsharan Kaur (the bride’s cousins) sang kirtan, the groom’s sisters-in-law Gunisha Kaur sang kirtan while and Gurbans Kaur plays tabla. Gurbans Kaur (groom’s sister in law) served parshad. Photos by Reminisce Studio. “The women in our families have played huge roles developing us as a people; their love and strength have guided and supported us. So, it was natural for us to want them to be invovled in one of the most important days of our lives as Sikhs. We felt the anand karaj was a way for us to honor those whom we loved while breaking gender barriers in our community. Having both Singhs & Kaurs conduct our anand karaj was inline with our values as a couple. For the palla, we wanted both of our parents invovled as we did not view the wedding as ‘giving away the bride’ but rather as two families coming together. 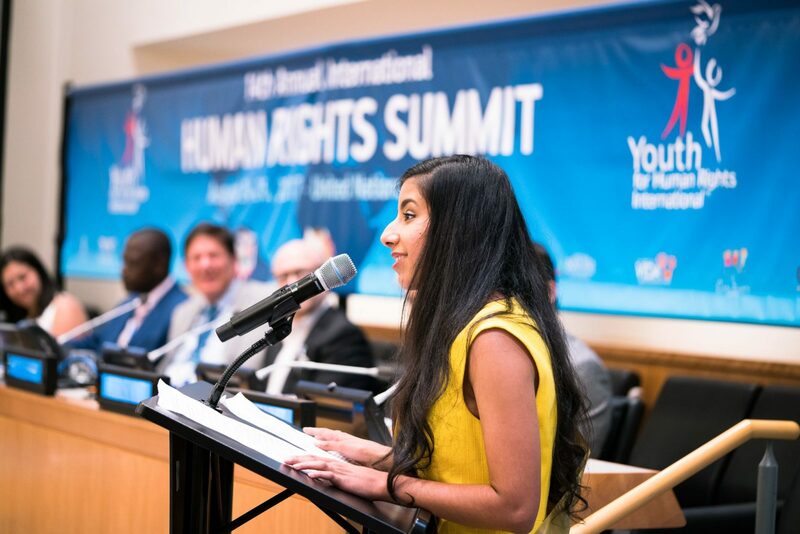 Plus, neither of us could be here without our parents,” Lakhpreet Kaur and Darsh Preet Singh. Do you have photos of women in weddings? Share them with us (Hello@KaurLife.org) for a chance to be featured on our Instagram page! 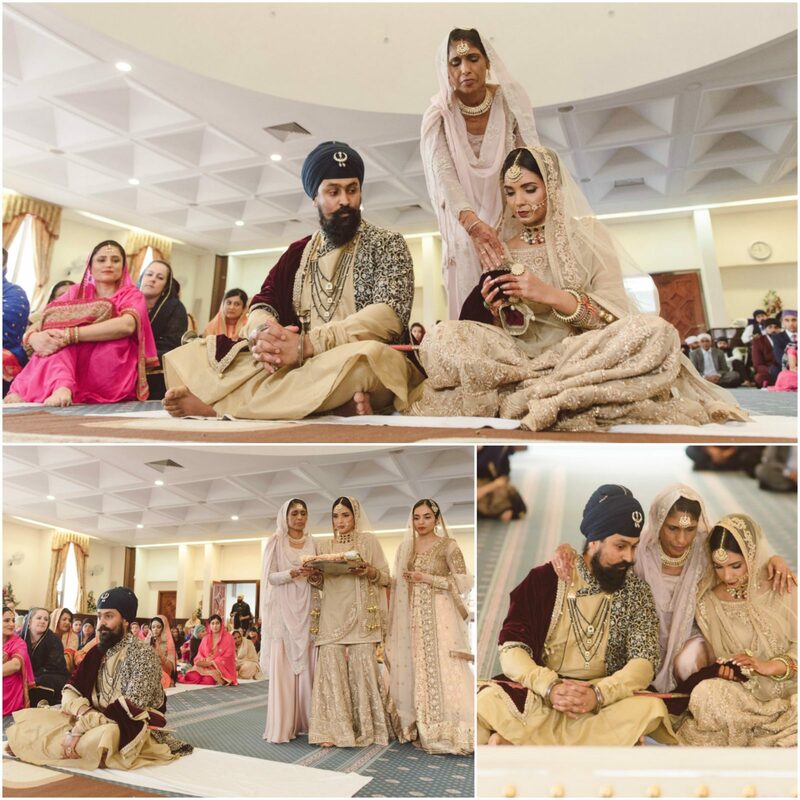 Feature photo is from the anand karaj of Khushwinder Kaur Dhaliwal & Avtar Singh Grewal by Everlasting Moments. All of the images presented on this page have been obtained with permission from the parties pictured and from the copyright owners. The photos on this page cannot be used without express written permission from the copyright owners and, or the original photographers. Any use, commercial or otherwise, of the materials on this page is strictly prohibited. You may not copy, publish, re-post, sell, assign, sublicense, or otherwise transfer these materials without the express written permission from the copyright owners and, or the original photographers. Sikhs are the most tolerable and humane people. And they stand up for human rights.